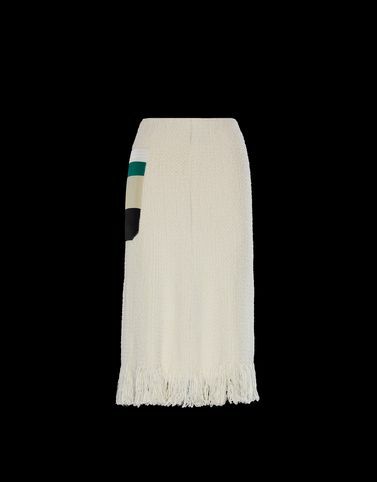 Knitwear, even for skirts, is the star of Moncler’s spring collection as delivered in this piece from the 2 Moncler 1952 line, collection n°2 of the Moncler Genius project. The softness of the material enhances the shape of the body, wrapping it weighing down the silhouette. A timeless piece that can be worn with a sweater for a cool look.